Chemical ‘remote-control’ for on-demand pain relief. Chronic pain remains a major health and well-being concern where issues with treatments include dose limitations, tolerance, and addiction. Bioengineers have now created new human cells that can be triggered to release a natural analgesic on-demand, thereby suppressing pain perception. This analgesic, derived from Chinese bird spiders, is called Huwentoxin-IV. Although these spiders naturally use the toxin to paralyze their prey, Huwentoxin-IV can be manipulated to inhibit the sodium gated channels (NAv1.7) responsible for pain perception. Scientists incorporated the Huwentoxin-IV into AromaCells, which were implanted in mice. The pain-relieving toxin was released whenever mice were exposed to the odor of spearmint (R-carvone). In doing so, mice were able to suppress pain over nine days as compared to six hours with the typical pain drug tramadol. This technique represents a new avenue for the treatment of neuropathic and chronic pain. Published in Nature Biomedical Engineering. The future of animal research without primates is bleak. 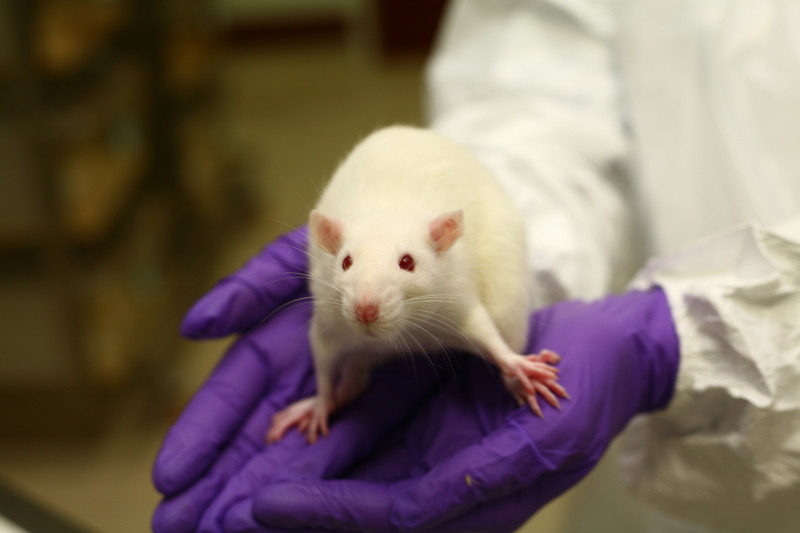 The recent termination of a nicotine study at the FDA’s National Center for Toxicological Research (NCTR) has led to the remaining animals from that study being placed into sanctuary. 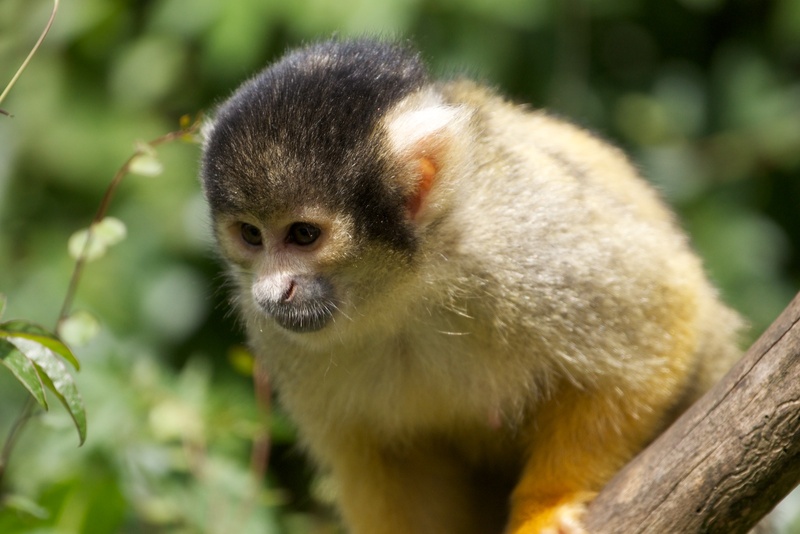 While we have covered many of these issues concerning this controversial announcement previously, it remains unclear what the implications of this announcement are for the remaining 270 primates at the NCTR. What is clear, and is highlighted in this recent editorial, is that animal research continues to represent a major cornerstone of all basic and applied biomedical research. Alternatives to animal research currently don’t exist for many of the diseases that we model. And primates, whose use constitutes on average less than 1% of all animals used for research, are integral in this endeavor, given their closer evolutionary history to humans. Wild primates may make the eradication of a skin disease difficult. Yaws, is a disfiguring skin disease, affecting 60,000 people a year in Africa and southeast Asia. Yaws can be treated using an oral antibiotic, and plans by the World Health Organization have estimated a cost of 100 million USD for complete eradication. Although wild primates harbor the bacteria that lead to yaws, there is no evidence to show direct transmission from wild primates to humans. Regardless of the capacity for inter-species transmission, the harboring of this bacterium in populations of primates living in close proximity to humans may make total eradication of yaws problematic. New soil-derived antibiotic kills resistant superbugs. Natural products (NPs) made by bacteria cultured in the laboratory have been a major source of effective antibiotics. Currently, new antibiotic discovery is low, however, due in part to very few NPs being detected by standard laboratory procedures. In a new study, researchers describe a process for better NP discovery – termed culture independent NP discovery. Using this new technique, they discovered a class of antibiotics – called malacidins. The DNA of malacidins is commonly found in soil, but has not been reported using culture-based methods. Using rats, the researchers show that malacidin A can treat methicillin-resistant Staphylococcus aureus (MRSA) skin infections. This new technique provides new hope given that antibiotic resistance is on the rise — with at least 2 million people becoming infected with bacteria that are resistant to antibiotics each year. Published in Nature Microbiology. Heroin vaccine blocks lethal overdose. Approximately 2 million people in the world use heroin, some of whom die due to heroin abuse — approximately 91 Americans die each day from overdosing on opioids. We have previously covered how researchers at the Scripps Research Institute created a heroin conjugate vaccine that reduced the potency of heroin by 15 times in mice and four times in monkeys. In a new set of experiments, these researchers continued to refine the vaccine for stability in transport and storage while maintaining its efficacy. To achieve this, 20 different types of the vaccine were tested in rodents. They found that the best vaccine formulation contained a carrier protein called tetanus toxoid (TT) and adjuvants called alum and CpG ODN. With the previous establishment of efficacy, and now, the establishment of stability and storage under clinical conditions — the next step is to mass produce the vaccine. Lead researcher, Hwang, stated “we believe that a heroin vaccine would be tremendously beneficial for people who have a heroin substance use disorder but have found difficulty in trying to quit.” Published in ACS Molecular Pharmaceutics. Alzheimer’s disease reversed in mouse model. One of the earliest events in the progression of Alzheimer’s diseases is the buildup of beta-amyloid peptides, which can lead to plaques and disrupt neural function. Beta-secretase, BACE1, is integral in the formation of these peptides, and many potential drugs for Alzheimer’s inhibit the activity of BCAE1. Mice that lack BCAE1 (knockouts) are neurodevelopmentally abnormal; however, mice that slowly lose function of this enzyme – instead of not having the enzyme at all – develop normally. When these “loss of function” mice are bred with a mouse model of Alzheimer’s disease (i.e., they develop plaques as adults), the offspring still developed plaques. But, remarkably, these plaques begin to disappear as the mice age when BCAE1 activity decreases. This study provides “genetic evidence that preformed amyloid deposition can be completely reversed after sequential and increased deletion of BACE1 in the adult,” says Yan, lead researcher on this study. “BACE1 inhibitors have the potential to treat Alzheimer’s disease patients without unwanted toxicity.” Published in the Journal of Experimental Medicine. Posted on February 16, 2018 February 16, 2018 by EditorPosted in News, Research RoundupTagged alzheimer's disease, antibiotic resistance, BCAE1, chronic pain, FDA, heroin vaccine, NCTR, neuropathic pain, nicotine, pain, yaws. Previous Previous post: Research Roundup: A link between food and breast cancer found, the role of the small intestine in processing sugars and more! Isn’t already well known that smoking is bad for the health and addictive? Causes cancer to some people. What else is there to know? There are people who simply likes to smoke despite the danger of it. It is true that we know that smoking is bad for health, and that the addictive substance in cigarettes is nicotine. Smoking causes lung, but also other forms of cancer, primarily through damage to DNA. So yes, we know a lot about smoking. However, to stop there would be overly simplistic. The goal of the research was to better understand how nicotine in conjunction with the most common constituents found in tobacco affects the likelihood that abuse and addiction occur. This research was longitudinal in nature, meaning that it studied these effects across time, beginning in the monkeys’ adolescence. This research was both highly applicable to humans in terms of the species used (primates) and needed as adolescents represent an at-risk population. The FDA has issued statements and is engaged in public campaigns that surround promotion of non-tobacco forms of nicotine to assist in the alleviation of abuse and addiction with respect to the burning of tobacco products. However, supplanting the consumption of nicotine via the burning or heating of tobacco by other means, such as e-cigarettes and vaping, does not reduce the importance of understanding how these products contribute to abuse and addiction by at-risk populations. For example, the replacement of tobacco with vaping, has expanded the market for tobacco products, to now include previously low risk (for use and abuse) children. Also, there is some evidence to suggest that vaping serves as a gateway to the use of traditional cigarettes. All of these public health issues warrant critical consideration and also requires that we have the effective tools – animal models – as well as the relevant infrastructure to support this emerging health concern. So, your description of this research needs some adjustment — there is still quite a lot we don’t know about the consumption of tobacco products. We hope that you can use the information above to further engage in constructive dialogue. If a 90-95% success rate is vital for scientific validity, surely a 90% failure rate of new drugs in clinical trials demonstrates an invalidity of current developmental systems? Where is the cost-benefit analysis to be accessed – would any other industry be able to thrive without such checks and balances in place? Moreover, it is unclear what you mean by “a 90-95% success rate is vital for scientific validity”. Scientific validity is not a unitary construct – it generally involves the study of internal, external and construct validity — though of course, other forms of validity are implicated. It is, additionally, not a pre-requisite that a 90-95% success rate is necessary for an experimental result to be valid. It seems that you are confusing the use of (frequentist) statistical methods (which are commonly used to make inferences about samples) with scientific validity. Regardless, such statements show a fundamental misunderstanding of the process of science, the use of the scientific method and the statistical tools used in the process.